Elmer “Ell” A. McWilliams, 95, of Soddy-Daisy, went to be with the Lord on Friday, March 23, 2018. He was a World War II veteran serving in the U.S. Army. Ell retired after 31 years with Collins and Hobbs Construction and was a member of the Carpenters Union Local #74 for 65 plus years. 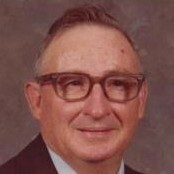 He was a member of Christ Family Church where he was an Elder and taught a Sunday School class for many years. Ell also was a Past Master of Soddy Masonic Lodge #418 F&AM. He was preceded in death by his parents, Daniel, Sr. and Mable McWilliams and brothers, Thomas, Daniel Jr. and Bernard. He is survived by his loving wife of 72 years, Marietta McWilliams; daughters, Brenda Gann, Carol (Ron) Vaughn and Anita (Warren) Dodd; sister, Evelyn Wilson; grandchildren, Jeff (Pam) Gann and Becky Tucker; 4 great grandchildren and 4 great great grandchildren. Services will be held on Monday, March 26, 2018 at 2:00 p.m. in the funeral home chapel with Bishop Calvin Nunley and Bishop Rick Smith officiating. Burial will follow at East Soddy Community Cemetery. Visitation is Sunday from 3:00 p.m. to 8:00 p.m. at the funeral home.